Today I’m happy to share an author post from Scott Wiser, creator of Vanishing Ink. When I saw the amazing artwork for the story, I was enthralled. It’s simply gorgeous. The story itself sounds so appealing, I’m definitely adding it to my “to-read” pile once things calm down! In the mean time, I asked Scott if he wanted to share a bit about the book with you in his own words. Enjoy! Thanks Nicole. for you interest in my hardcover novel. I am glad tell your readers about it. 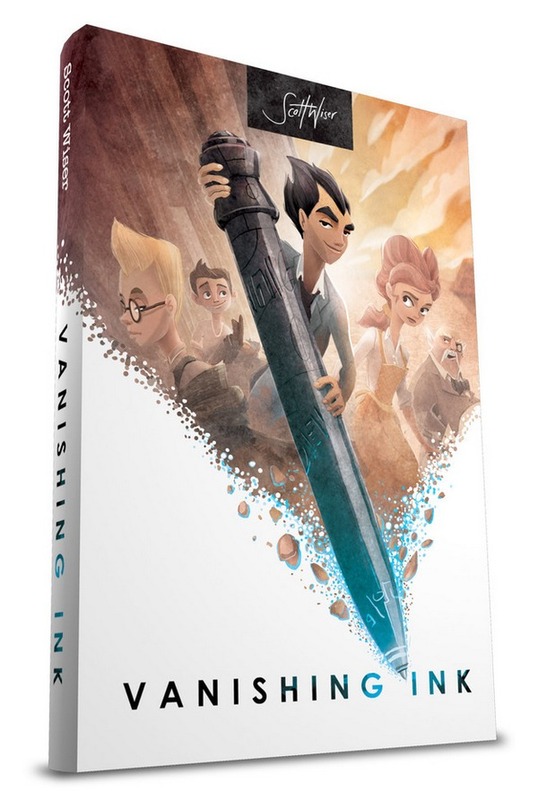 Vanishing Ink is about a washed up magician who has to save the world from disappearing. Disney & DreamWorks storytellers have raved about it and hundreds of new fans have appeared in a matter of days. As an author, the best aspect of this book is that I believe it both entertain AND teach a good moral: Selfless Conquest Brings True Fulfillment. There is no sexual content or violence, so I’m certain the whole family will enjoy it. 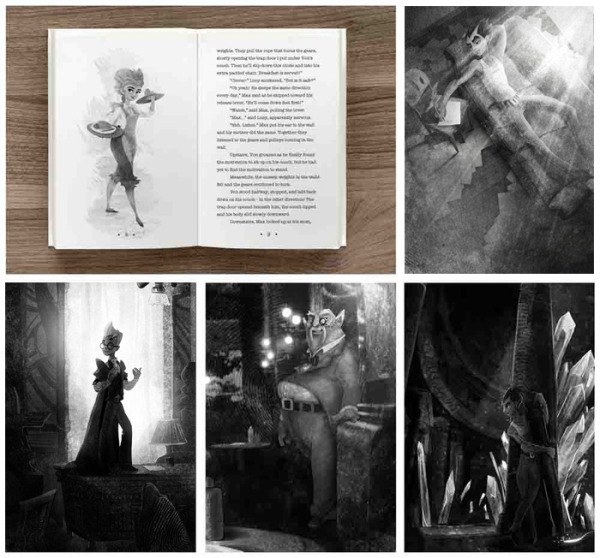 If you aren’t familiar with Kickstarter, you’ll be pre-ordering this book and once I print, I’ll ship it right to you. You won’t be charged until we raise enough funds on December 11th.